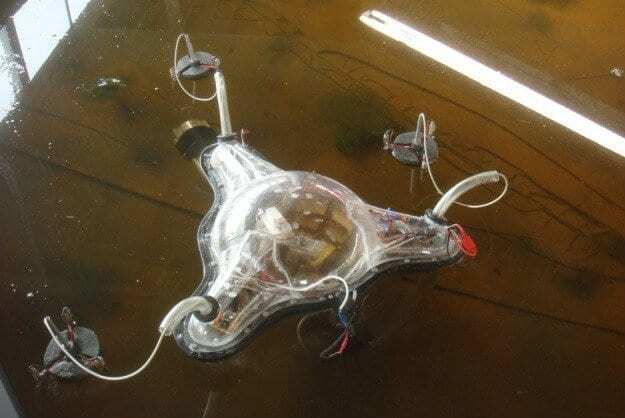 Transdisciplinary artist and researcher Ivan Henriques collaborated with scientists from the Vrije Universiteit Amsterdam to create a prototype for an autonomous bio-machine that harvests energy from photosynthetic organisms like algae and uses this energy to search for more of these organisms. The Symbiotic Machine targets organisms that are found in water bodies like ponds, canals, rivers and the sea. It creates a symbiotic system with its environment as it detects, collects, carries, and processes these organisms. The machine can clean the environment of its location by collecting these organisms for energy and can potentially be used in places with harmful algae bloom. The machine prototype focuses on detecting a specific algae, Spirogyra, a genus of filamentous green algae. The structure is designed to float in the water among the algae and is transparent in order to catch sunlight at any angle. The machine also has a mouth that takes in and grinds the algae to break down the membrane cells and release micro particles, and a stomach where the energy is harvested. The Symbiotic Machine is programmed to eat, move, sunbathe, rest, search for food, wash itself, and do it all over again on loop.